This year’s NCDHM campaign is brought to you by the ADA. 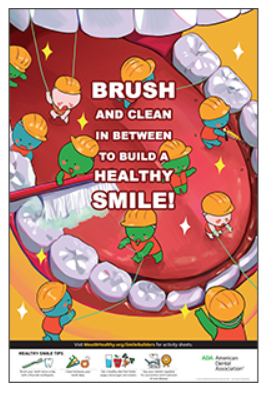 Join the “Smile Builders” in promoting oral health with their message, “Brush and clean in between for a healthy smile”. Also available to download on the NCDHM website are activity sheets, including coloring sheets, crossword puzzle, and calendar. Poster orders are limited to 200 posters (8 packs of 25). "The Utilization of Dental Auxiliary Staff to Increase Access to Oral Health Care in Rural Areas: Filling an Unmet Need in Rural Pennsylvania". This paper provides a quick look at the education, certification and scope of practice for PA-specific dental auxiliary staff in the state. A new article was released last week demonstrating that preventive dental care is associated with fewer emergency room and hospital visits. PA is seeing this with dental navigator and emergency room diversion programs beginning to pop up across the state. 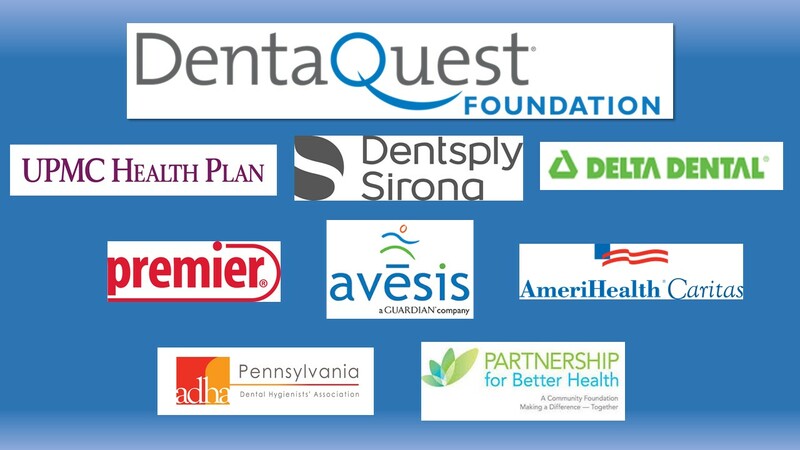 To improve oral health for all Pennsylvanians by uniting stakeholders to advance advocacy, policy, education and innovative approaches. Copyright © 2018 PA Coalition for Oral Health, All rights reserved.